(Bridgewater, N.J., Feb. 22, 2017) – The Somerset Patriots have announced the re-signing of infielder Scott Kelly for the 2017 season. 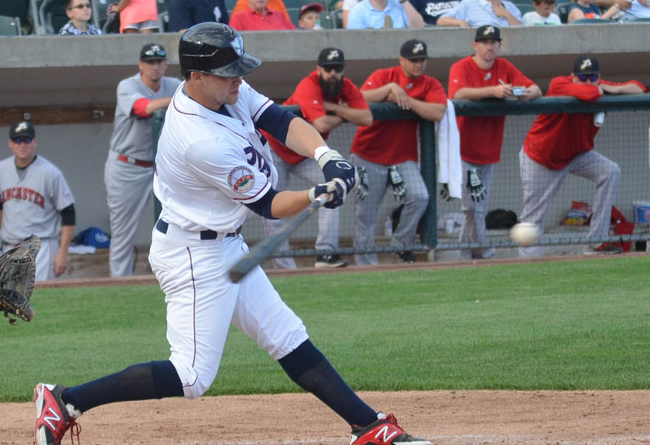 Kelly enters his fourth season with the Somerset Patriots and fourth in the Atlantic League. Last year, Kelly appeared in a career-high 116 games and set career marks in hits (102), runs (66), doubles (17), RBI (30) and stolen bases (38) along with a .265 average. The 116 games ranked third on the Patriots last year, while the 38 steals led the team and ranked fourth overall in the Atlantic League. The West Windsor, New Jersey native notched his first career home run during the regular season and followed it up with a dramatic walk-off solo home run in the bottom of the 11th inning in Game One of the Liberty Division Championship Series against the Long Island Ducks. Kelly went 8-18 (.444) in the 2016 postseason with the home run and a pair of doubles. Kelly appeared in just 31 games due to injury in 2015, but still hit .337 with 10 RBI, 20 runs scored and seven stolen bases. Defensively, he made appearances at second base, third base and shortstop. The versatile infielder began his minor league career with the Somerset Patriots in 2014 after earning an invitation to Spring Training from the team’s Open Tryouts. That year, he led the team in stolen bases (20) over his 92 games played. The 25-year old played his college ball at The College of New Jersey, where he hit .345 and .346 in his last two seasons, respectively. Additionally, he is the all-time leader at TCNJ in at-bats (663) and stolen bases (98), while ranking second in runs scored (165) and fourth in games played (161). Kelly has hit .249 with 50 RBI, 118 runs and 65 stolen bases over 239 games in his three-year career with the Patriots. Tickets to the 2017 Somerset Patriots Season presented by Ford, which includes the team’s 20th Anniversary and the Atlantic League All-Star Game at TD Bank Ballpark, are on sale now. For more information, stop by TD Bank Ballpark, call (908) 252-0700, or visit www.somersetpatriots.com.